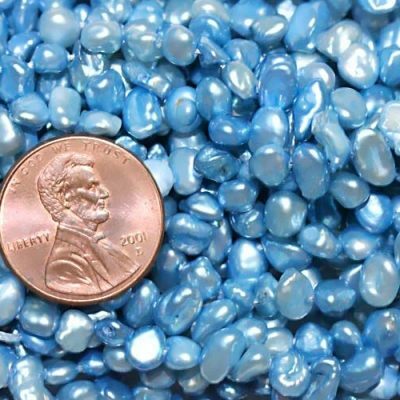 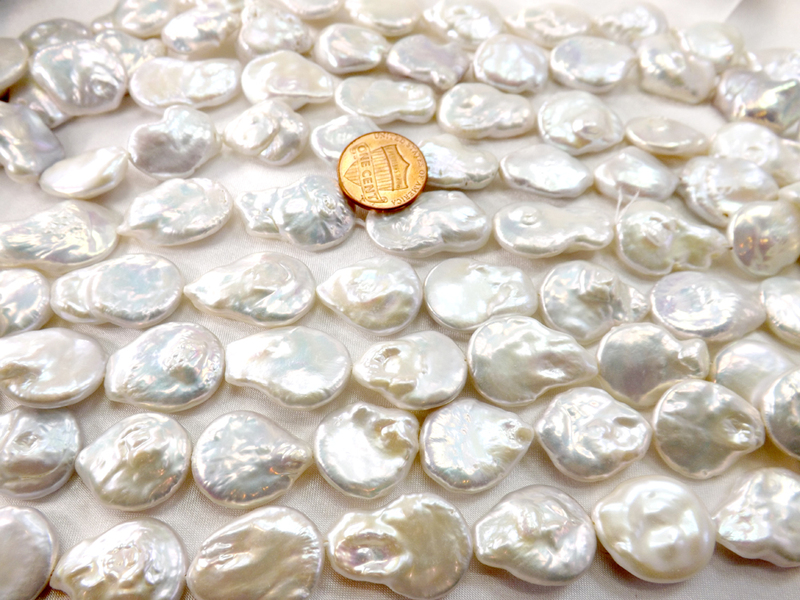 Beautiful and huge sized 15-17mm baroque pearls with very high luster in 2 different grades are available. 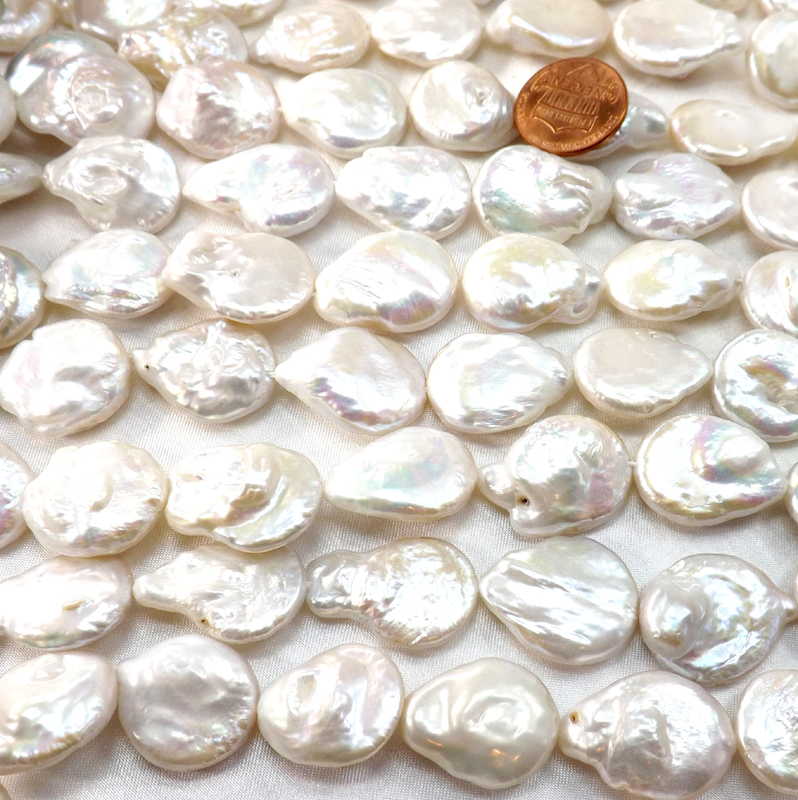 The top picture shows AA quality and the bottom are the better quality with more consistent shapes. 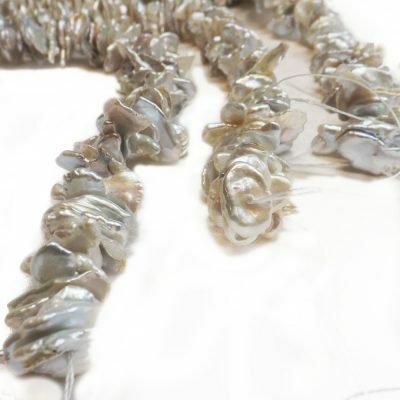 Both of them have very high luster as you can see from the pictures. 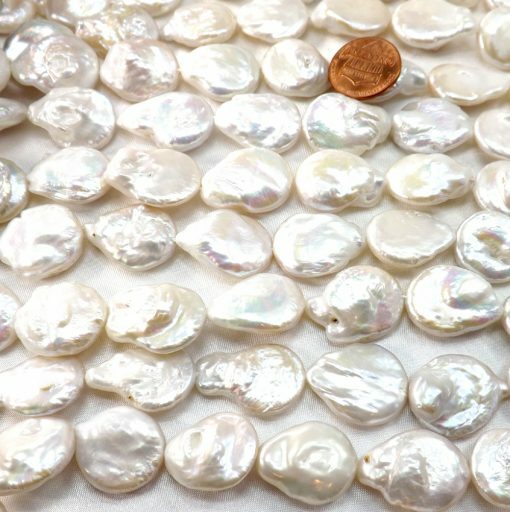 The strands are approximately 15-15.5″ inch long, with approximately 18-20 pearls are each strand. 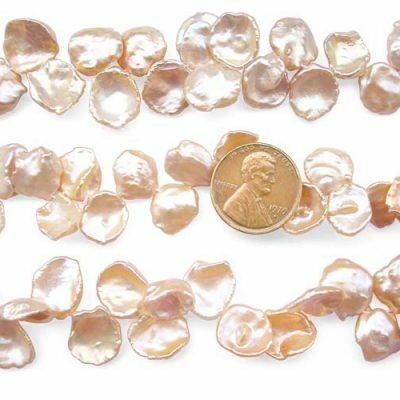 Perfect if you want to take the strand apart and use them individually as center piece as well, especially for the higher graded pearls. Nevertheless, both of them would make very impressive jewelry due to their huge size and high luster, as well as unusual flat shapes.